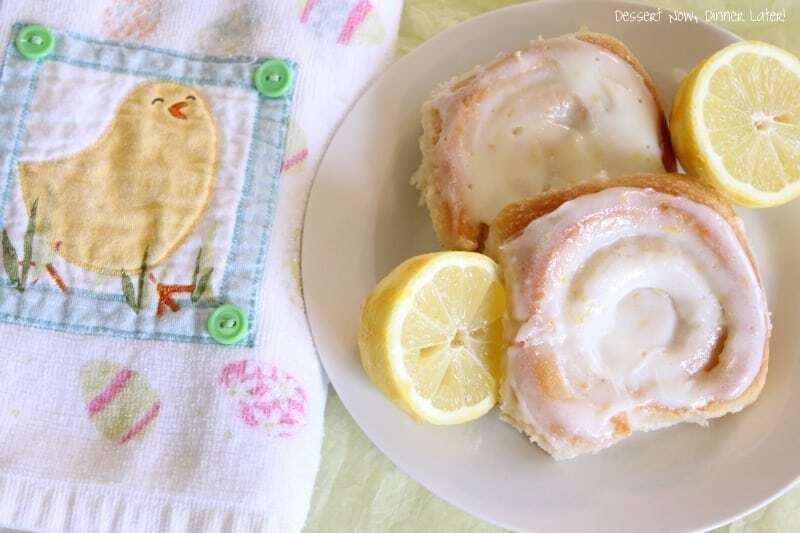 Lemon Sticky Rolls - Dessert Now, Dinner Later! 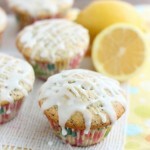 If you have been a follower for a while, you know how I swoon over citrus treats. I have a known lime addiction, but really any citrusy sweet has my name written all over it. I was thinking about Spring & Easter & decided that this would make the perfect Easter breakfast! The soft bread, with the tang of the citrus & the cool creamy glaze make these a perfect breakfast roll. Like most cinnamon rolls they are a little time consuming, but so worth the wait! 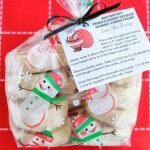 You may also prepare & shape them the day before, cover them in saran wrap & save them in the fridge overnight. Just allow them to raise for an hour at room temperature before baking them. You are going to love these! Zest and juice lemons -- equals about 1 1/2 Tbsp zest and 1/2 cup juice; divided below as follows in the dough, filling, and glaze. Warm milk in the microwave for about 35-45 seconds until warm but not hot on your wrist. Add yeast, stir, & let the mixture rest until foamy; about 5 minutes. Switch to the dough hook & knead for 5 minutes, or until the dough is elastic & pliable. Lightly grease the top of the dough with vegetable/canola oil, & turn the dough over so it's coated in oil. Cover the bowl with plastic wrap or a towel & let rise until nearly doubled; about 1 hour. Lightly grease a jelly-roll pan with baking spray. On a floured surface, pat the dough out into a large yet thick rectangle; about 10"x15". Spread the dough evenly with 3 Tbsp of very soft unsalted butter. Then spread the lemon/sugar mixture over the top. Roll the dough up tightly, starting from the top, long end. Stretch & pull the dough taut as you roll, to keep the lemon-sugar firm inside. Cut rolls using floss or string about 1" thick. Place on the prepared baking sheet with ends inward to help keep from unrolling once they raise. Cover the rolls with a towel (I like to use a LIGHTLY damp towel) & let raise for another hour or until puffy & nearly doubled. While rolls are baking prepare the glaze. Using a hand mixer, beat cream cheese until light & fluffy in a medium sized bowl. Add the powdered sugar, zest & half the lemon juice (2 Tbsp.) Blend until smooth & creamy. 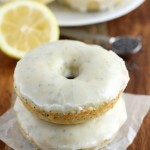 If you want a thinner glaze add the remaining 2 Tbsp lemon juice. Top warm rolls with glaze. Serve while still warm. I made sweet rolls often when I had a houseful of kids to eat them, Orange rolls, cinnamon rolls, danish etc. 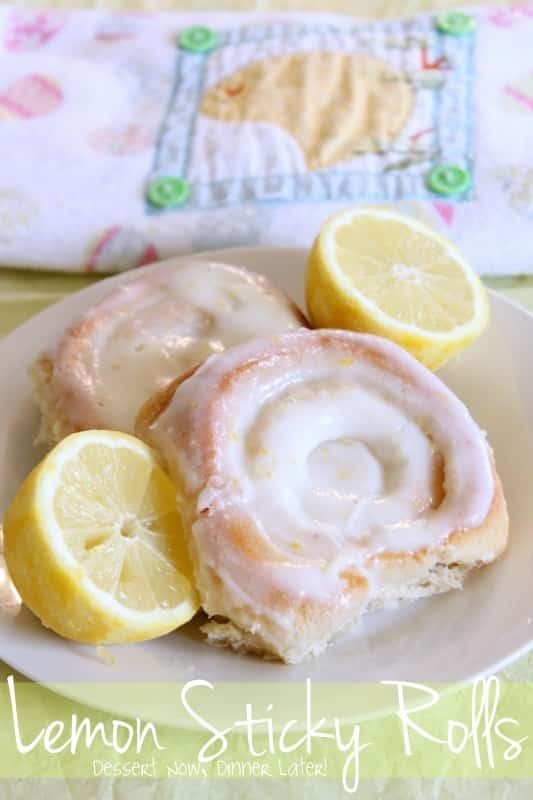 These lemon rolls look perfect–maybe I’ll make them and share with the neighbors. I’m sure they wouldn’t mind! 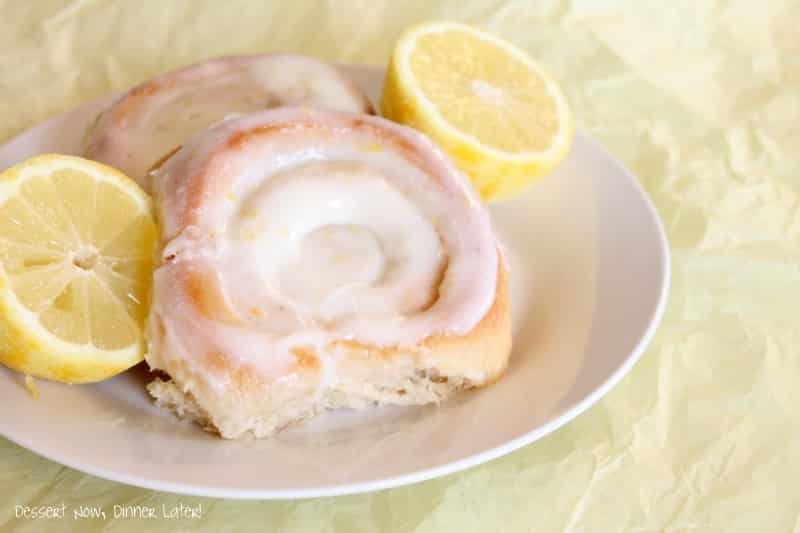 Those lemon rolls look so delicious…sure wish I had some to go with my coffee this morning!!! Thanks Jocelyn! They were pretty tasty! 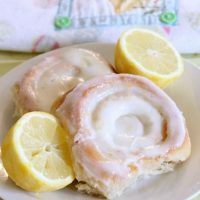 My hubby loves sweet rolls and lemon, so this would be a hit! Maybe I will try them for Easter brunch. Can’t wait to read thru your other recipes. What a great blog! Your lemon rolls look delicious!!!! 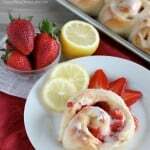 I love making different kinds of sweet rolls, and these look wonderful! I just made these rolls and they are delish. I love all the lemon flavor. Im a big cinnamon roll fan but I thought I would give these a try. I was not disappointed. I might try making this dough and glaze with a cinnamon filling. Oh I bet it would be amazing. Thanks for the yummy recipe, and hello from West Jordan Utah. Yum! These look amazing! I love citrus also, so I was hooked at lemon! Yum, they look great! Pretty photos, too. These look amazing! I love sweet breakfast foods and love citrus sweets! I am a mother of 2 toddlers and 7 months pregnant. Making these in the morning would mean I would have to get up REALLY early! Do you think you could prepare them and refrigerate them overnight and then bake them in the morning? I might try it so that I could still enjoy these and get some extra sleep! Yes, you can most definitely refrigerate them overnight. They might need 30 minutes at rom temperature before you bake them still, but just cover them well (spray your plastic wrap so it doesn’t stick to the buns) & then let them rise in the fridge overnight. Good luck I hope you like them! I was just wondering if these need to be eaten fresh or if they are just as good on day two? These are best fresh, but are still good after a few seconds in the microwave on day 2 or 3. After that they kind of harden & dry out, so eat them within 3 days. you posted this on my birthday in 2013. i found this two weeks ago and since then I LONG FOR MAKING THEM SO BADLY <3 so right now it is 9pm in the evening in germany, and I am so going to make these. heaven on earth, I have seen a bazillion recipes on every kind of website, seriously. but this just is THE recipe. thank god for you being here and posting this!!! These are the best rolls I have ever made! EVER! Oh I am so glad! They are delicious! Thanks for sharing your experience! Whoops! Sorry you baked them a little too long. Store them in a plastic bag and then nuke them in the microwave before eating them and they should soften a little bit. Ah no worries they were super soft! Bursting lemon flavours too! Can I use bread flour instead of all-purpose flour and how different would that turn out? I’d like to try making them the night before, would that work? Bread flour would actually be great for this because it’s lighter in consistency than all-purpose flour which will create a lighter, fluffier roll. I just always have and use all-purpose for everything.